Yes – it’s good for your wallet. But did you know there’s a whole host of reasons, other than a quick cash boost, that it’s good to scrap metal? Virtually all old metal can be easily recycled into a new, useable material and while the process for each metal varies, each produces metals of equivalent quality – perfectly fit for its next use. Here are 5 top reasons you should be a part of this recycling process, and head on down to our yard to start scrapping your metal. It takes much less energy to melt and remould old metal than it does to make metal from scratch – extracting new metals from their ores. Therefore, the recycling process saves vast amounts of energy, for example; it takes more energy to manufacture one new aluminium can than it does to recycle 20. While the recycling process reduces energy, it also benefits the environment in a number of ways. Metal mining inevitably disrupts wildlife, drainage and soils, as well as polluting the environment. Using secondary raw materials means less use of natural resources such as iron ore in steelmaking or alumina and bauxite in aluminium smelting, which would otherwise be needed to make new metal compounds. Using fewer mines will preserve more trees, rivers, and wetlands helping to protect wildlife and conserve natural habitats. 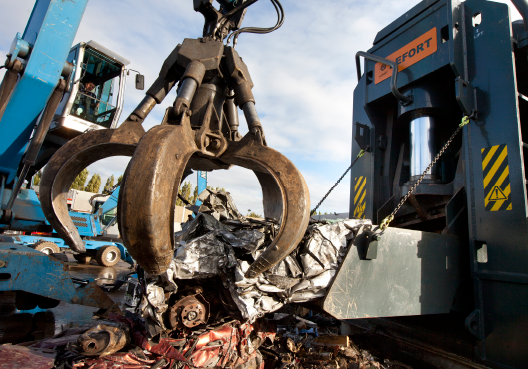 The more scrap metal that is recycled, the less ends up going to landfill. More space in landfill areas means that the incineration of waste decreases, which therefore lowers air pollution. Also, when scrap metals are recycled in the UK there is less transportation of metal, so a reduction in emissions from air, ship and train travel, also serving to reduce air pollution. A major motivation to recycle is the creation of many jobs within the UK economy. The recycling process creates approximately 36 jobs for every 10,000 tonnes of waste recycled. On the other hand, every 10,000 tonnes that’s incinerated creates just one job. To keep putting back into this £5.6 billion industry that employs over 8,000 hard-working people, recycle that scrap metal! All of these reasons contribute to the greater good. By boosting the economy, freeing up landfill, reducing emissions and helping the planet and wildlife, you’ll be making our world a greener, nicer, more sustainable place to live – for us, and generations to come. What’s more, you will be getting paid to do so. Getting paid to feel good? Can’t argue with that. If you’ve got metal that requires scrapping and you’d like the feel good factor, contact one of the J Davidson team today.